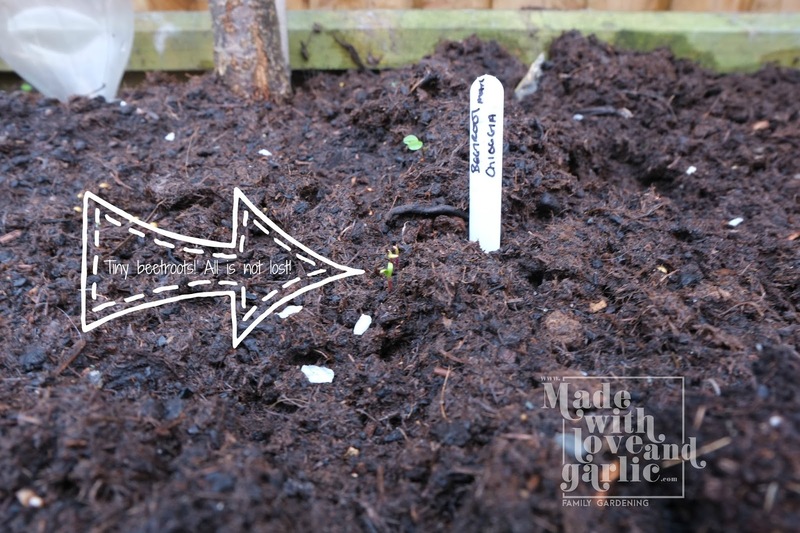 A while ago, toddler GarlicBoy and I sowed some carrot and beetroot seeds in one of our shadier raised beds. I have to admit, I have been seriously worried about them. 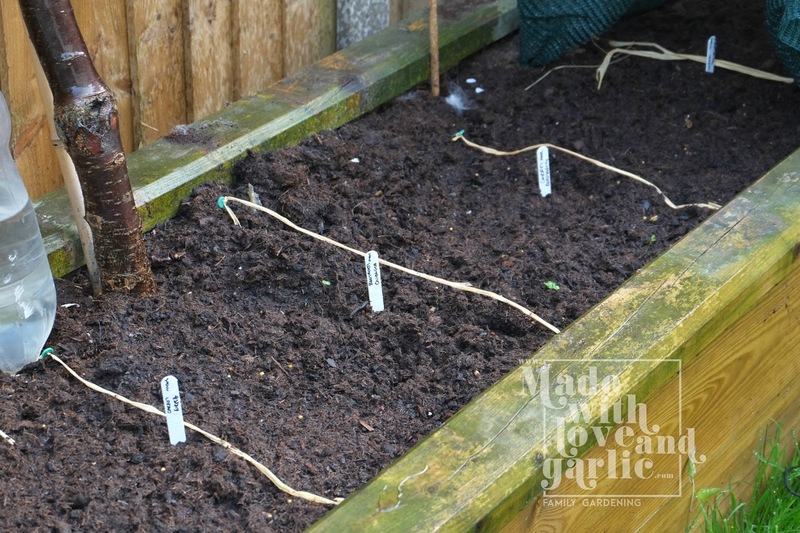 I had to cover the seeds with a cloche tunnel because the cats kept lying on the raised bed but I think that stopped the seeds from germinating. 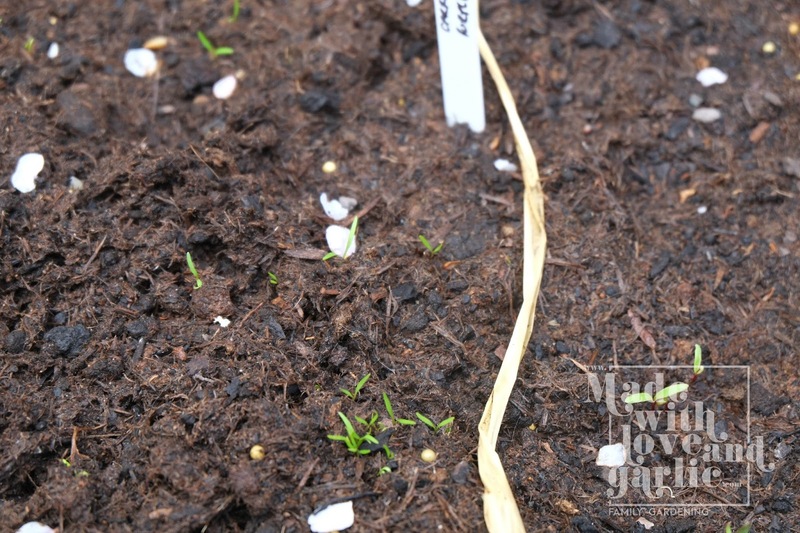 Taking the cloche off (and blasting the poor cats with the hose to ensure they know not to use that bed) appears to have kick started the seeds again and today I even had to thin them out! The seed syringe appears to have done it’s job remarkably well. So although we might need to find a few ringers to give to the Easter bunny because ours might be a bit slow, it looks like we’re actually going to have our very own carrot and beetroot harvest this year!